While HBO has cancelled Hello Ladies, that won’t be the end of the line for the characters. The cable channel plans to wrap up the TV series with a special. There’s no word on when it will air just yet. 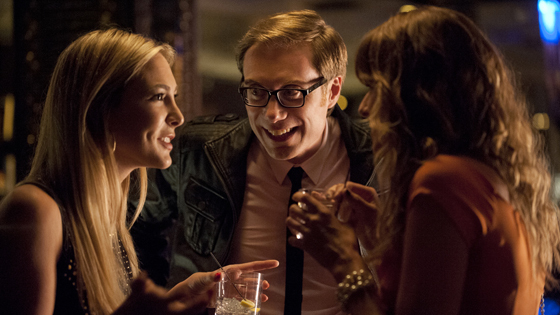 Based on Stephen Merchant’s stand-up act, Hello Ladies revoles around Stuart Pritchard (Merchant) and his search for love in Los Angeles. The rest of the cast includes Christine Woods, Nate Torrence, Kevin Weisman, and Kyle Mooney. The first season ran for eight episodes, from September until November of 2013. The premiere drew 522,000 viewers and subsequent installments drew fewer. What do you think? Did you like Hello Ladies? Are you sorry there won’t be a second season? How would you like to see Stuart’s story end? More about: Hello Ladies, Hello Ladies: canceled or renewed? Love it Miss It Bring it back! Love it – Miss it – Bring it back! Wow, this is bad news. This was definitely one of my favorite shows. It was my favourite serial for a long time! Funny and warm. HBO has to renew it because everybody like it!!! This show was so refreshing! I really enjoyed all of the quirky characters, everyone trying to find love It is a shame that it has been cancelled. They should run the show on another cable channel, HBO isn’t the only fish in the sea……. more please .. There is a lack of great entertainment so give us more of Hello Ladies. LOVED THE SHOW ANF STEPHEN MERCHANT!!!!! BRING IT BACK!!!! EVERYONE I KNOW LOVES THE SHOW AS WELL. Absolutely love this show! So sad that it’s cancelled. Bring it Back!! Love this show!